It is one of the first 3D slot games that BetSoft Gaming has released online. Just imagine how cave dweller ever got by without a 3D slot? 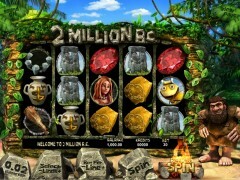 Betsoft has launched a brand new 2 Million BC slot, with eye watering graphics and animations. You are not a cave dweller but you can join the caveman in a fantastic 3D dimension on his adventure. It would be unjust to write a review of this wonderful slot until you are a player of this fantastic presentation. The music is very entertaining and not a dull background noise. In the 3D graphics, it seems that just about every win is rewarded with cool effects. Bet365 Casino is the cream of the online crop of casino sites to all the website visitors and is the one that will live up to all players’ very high expectations. The game features a caveman who is the star of the show and a rather attractive Cavewoman and also sloth. The caveman stands by to usher on the slots and jumps up and down after winning a prize or a bonus feature is started. He sometimes gets angry, agitated and bored, If you leave him alone for a long time. 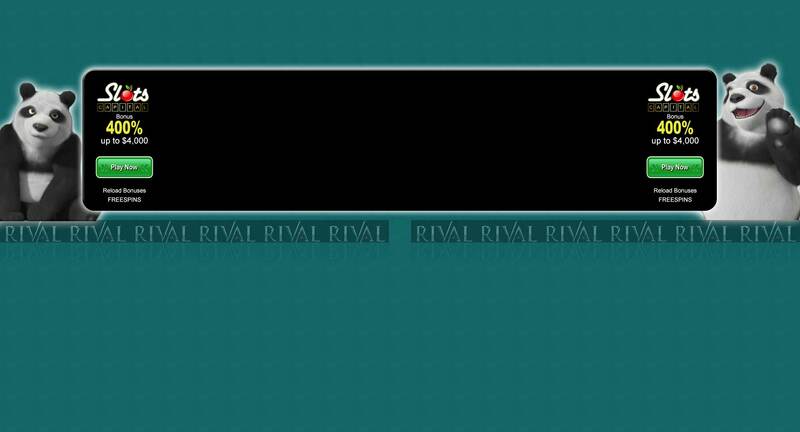 The game starts by choosing a wager, a process in which the adjustments of the bets are done between 1 and 150 credits. All players, experienced and beginners alike, have a wide range of betting options to select from. The jackpot is the bet per line multiplied by 500 and win prizes by having 5 stone-age heroines. Players can also get a free spin bonus by having three campfires, aside from this attractive jackpot. The main goal of this entertaining bonus game is to have the caveman kill the sabertooth tiger successfully. A player can pull down some serious bucks with good hand-eye coordination this way. A 5-reel 30 pay line slot fun-loving persons at Betsoft, makes returning to the Stone Age in this game encountering sabertooth tigers an exciting quest. No Wild symbol is attached to any of the reels however you cannot make that excuse of not to play it as this 2 Million BC slot game slot machine offer to win bonus feature rounds. The Jackpot symbol is the Girl symbol to win the top prize offered in this game. In 2 Million BC Casino Betsoft came up features of a prehistoric jungle theme with beautiful skies and exciting leafy green vines for the slots lovers. This feature is much more entertaining as compared to other online slot machine with prehistoric themes. It also has three more features appearing as a winning selection which gets activated by the camp fire symbols, diamonds or acorns. The sloth collects the acorn and stores it in the top left hand corner. You can win money after collecting three of these, at this time the saber attacks feature starts and the caveman climb to the top of the reels. At this moment, the player must time his attack correctly to launch an acorn to knock the tiger unconscious. The next feature is a diamond bonus, which is a multiplier combined with skill. In this feature three, four and five diamond awards 200, 5000, and 1000. And can be increased by the method you choose to get back the diamond from the Sabertooth’s mouth. Awarded is the simplest feature, when you spin three campfire symbols, which tend to award a prize on each spin. No involvement of the other player is needed and the caveman goes to sleep at last. Betsoft have done an excellent job in this game. The graphics and the animations really bring the game to life and these features are a welcome change.